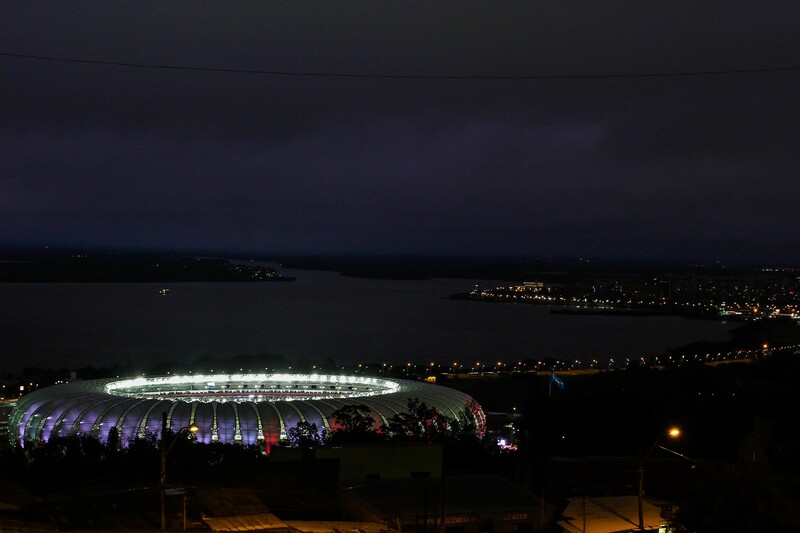 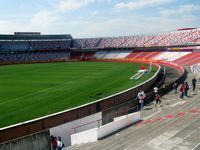 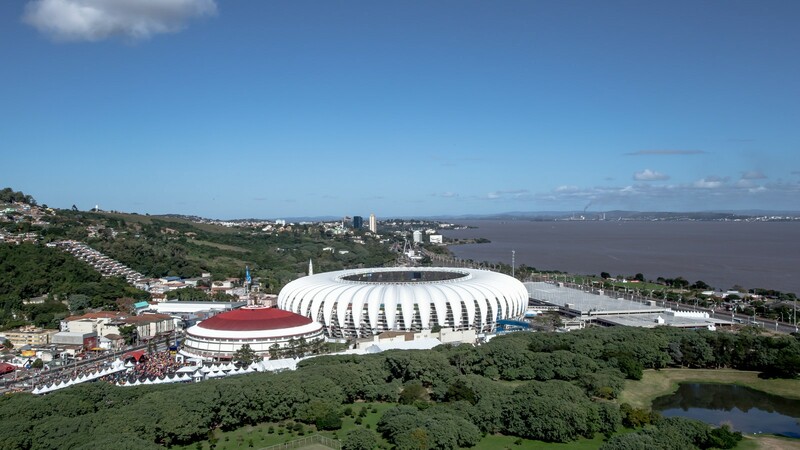 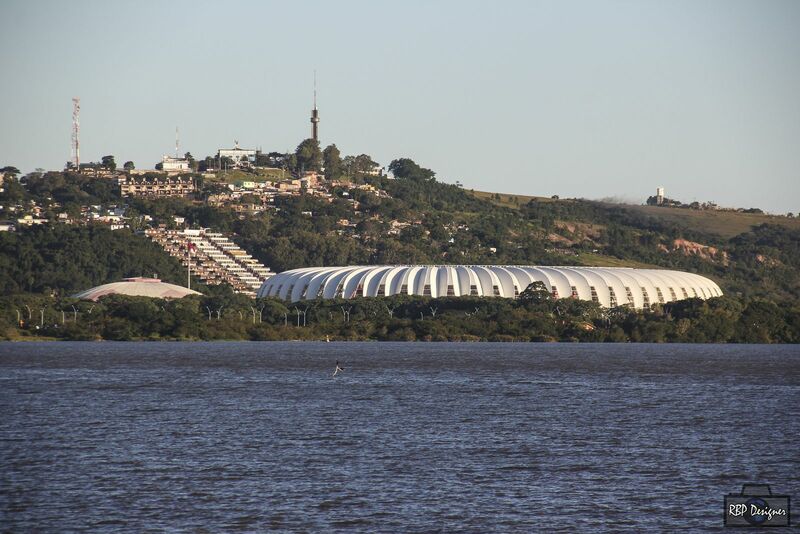 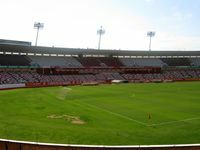 Construction of the stadium along Porto Alegre’s riverside was launched in 1959. 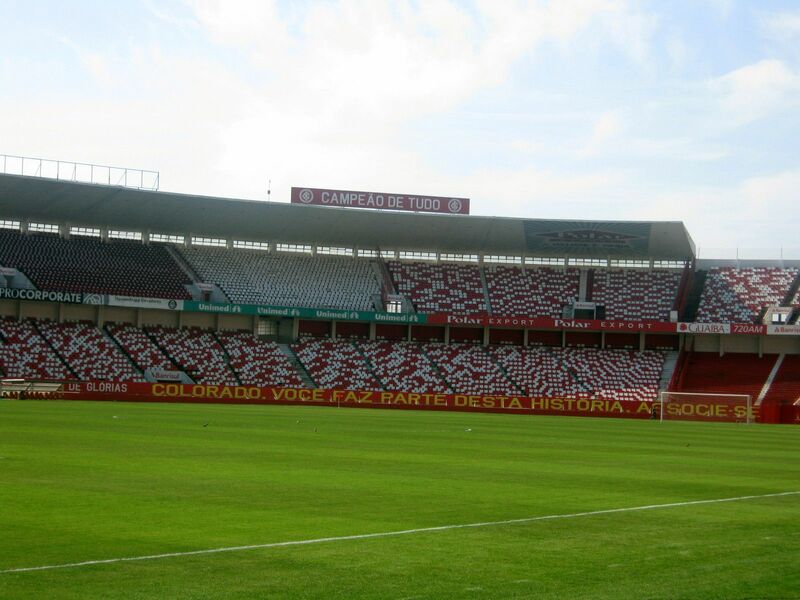 Works were financed from various sources, also thanks to the engagement of Internacional supporters. 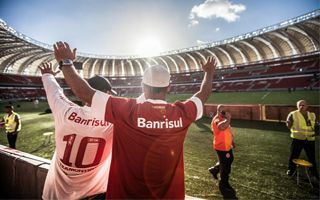 One of future football legends, Falcão, was among voluntary workers, then a very young boy. 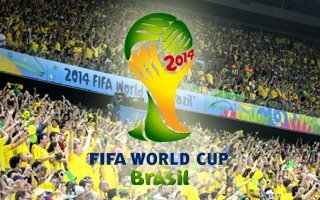 However it was another legend that proved crucial. 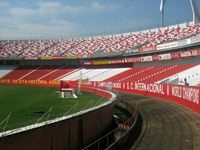 Portuguese migrant José Pinheiro Borda was among the initiators and then got in charge of the project. 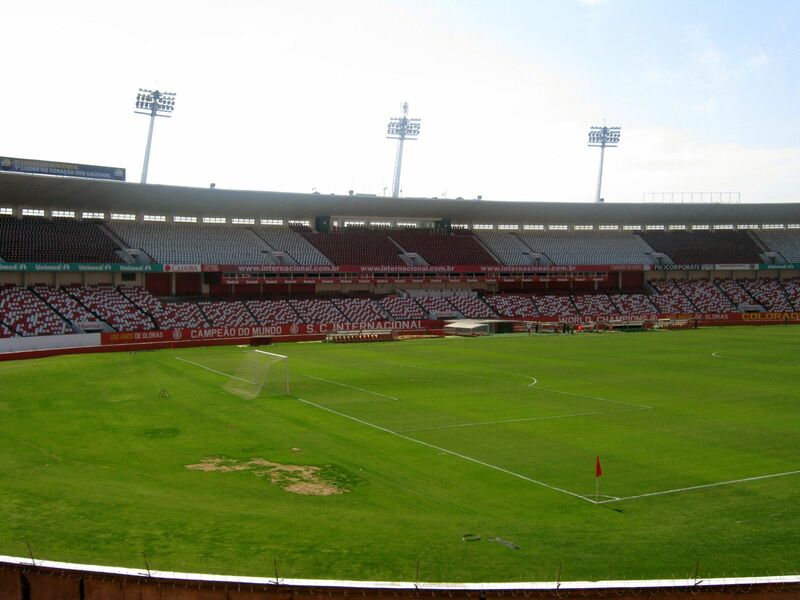 He died before completion in 1965, but was soon honoured by the stadium receiving his name. 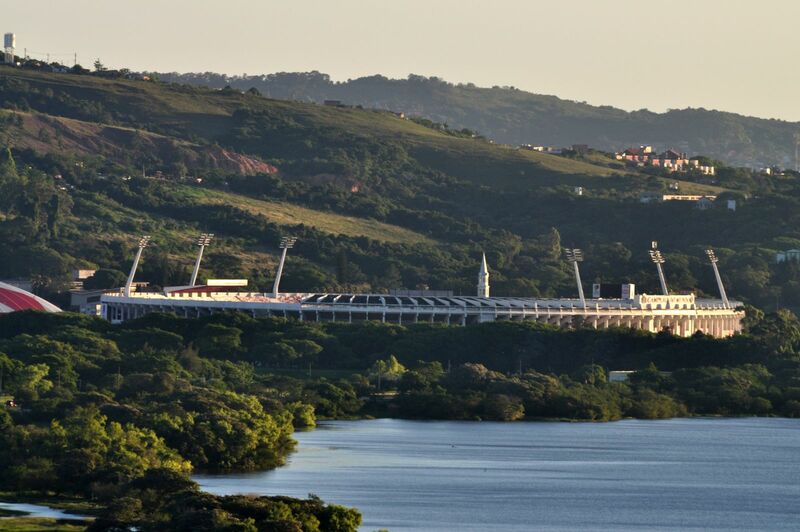 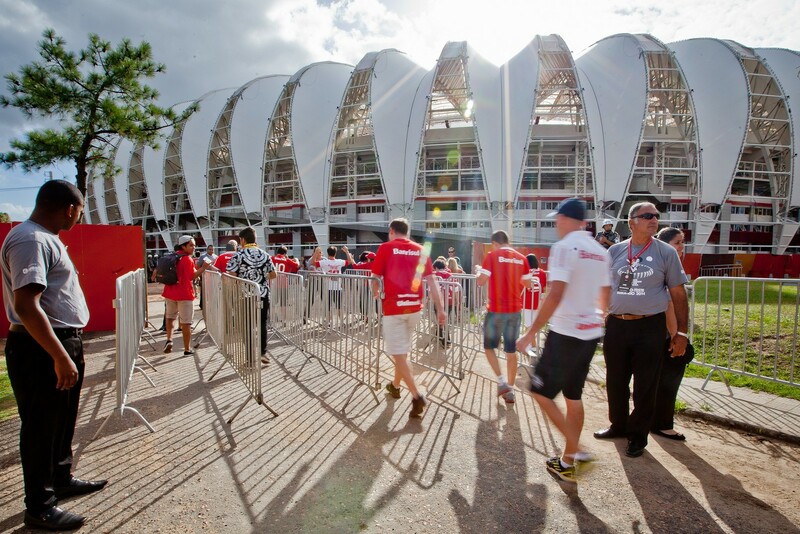 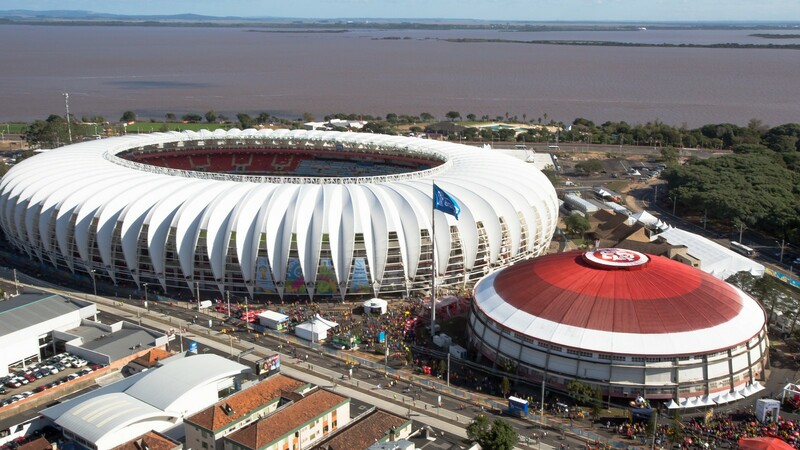 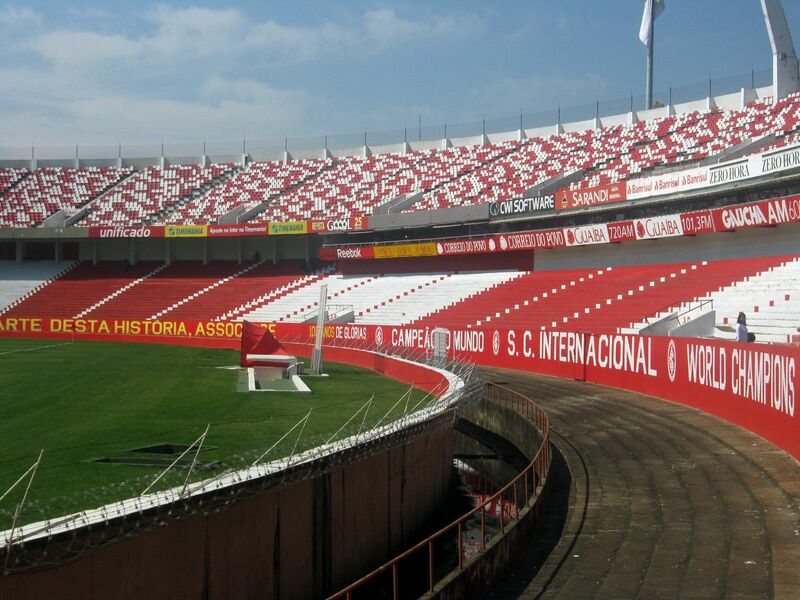 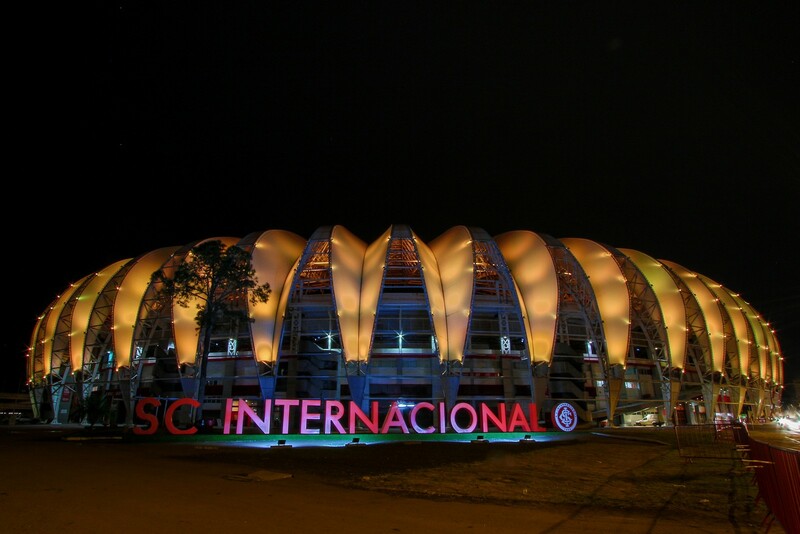 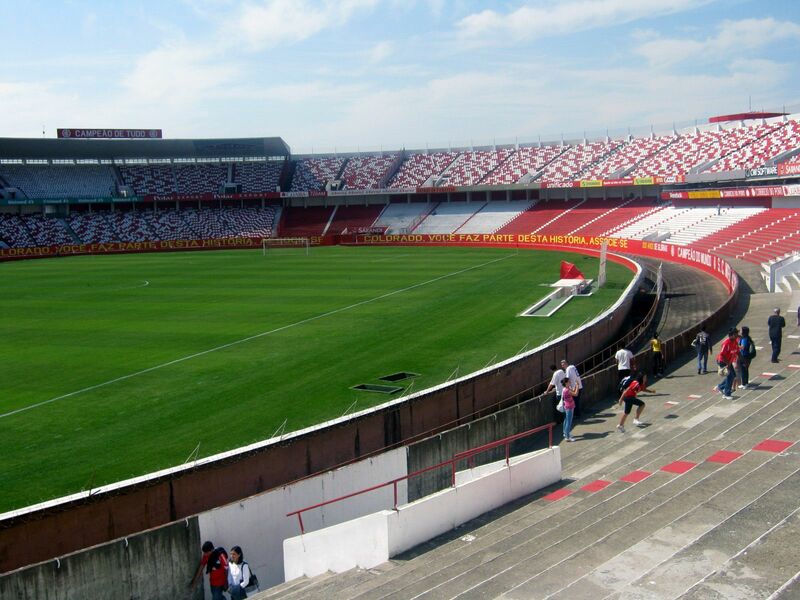 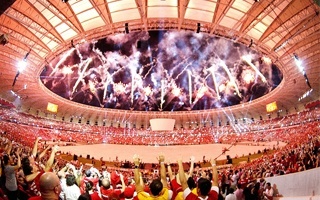 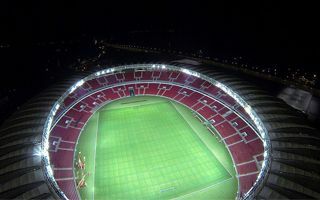 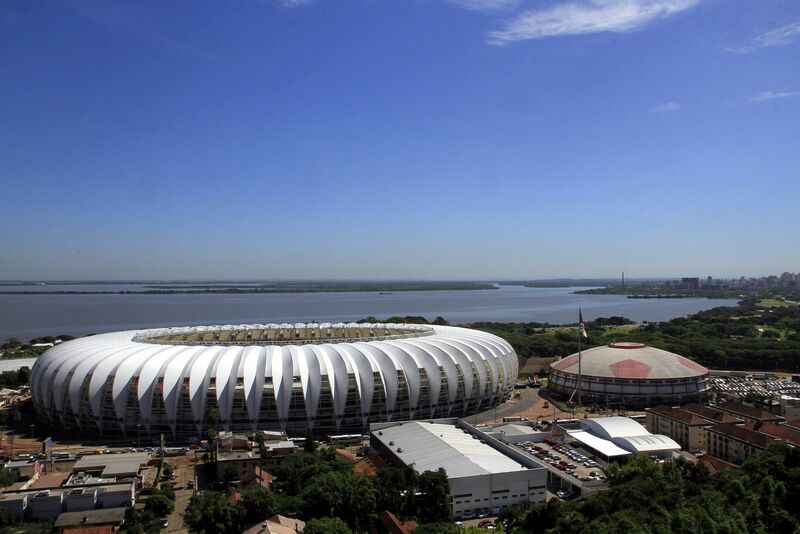 Commonly it’s still often called Beira-Rio (Riverside). 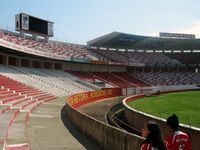 Official opening took place in April 1969, after a decade of construction. 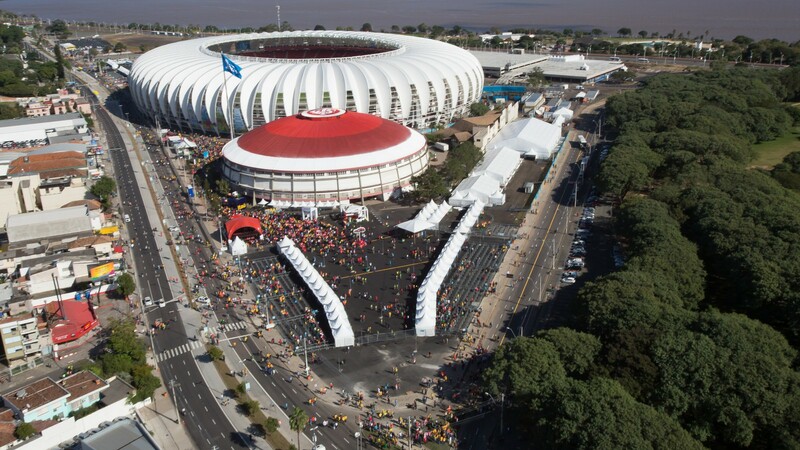 The elliptical double-tier stands could fit over 70,000 people, but crowds were often larger. 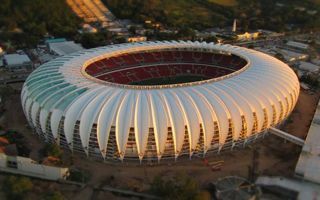 The biggest one in 1972 reached 106,554 and is to date the record. 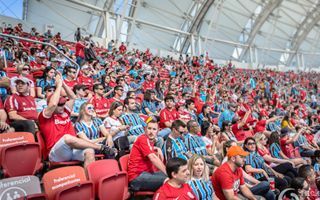 Over time capacity started decreasing, falling to under 60,000 with individual seats. 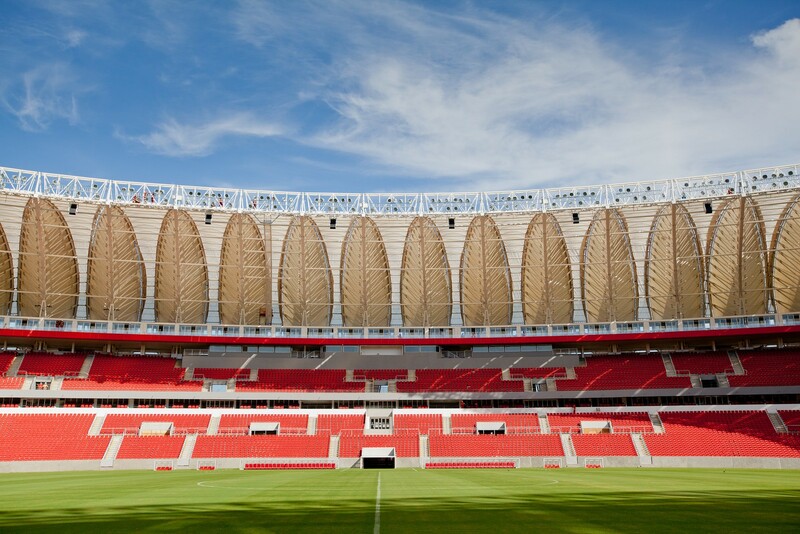 In December 2010 reconstruction works began ahead of the 2014 World Cup. 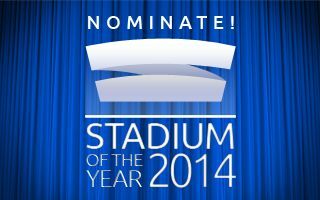 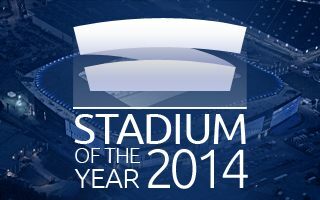 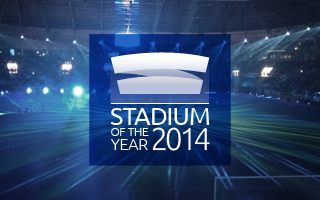 Along the Hype Studio design, the stadium received a new lower level of seating, bringing fans closer to the action. 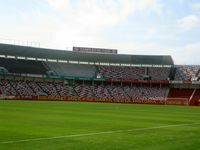 Skyboxes were created between both tiers and atop all stands. 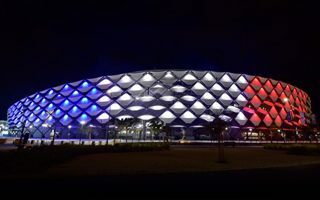 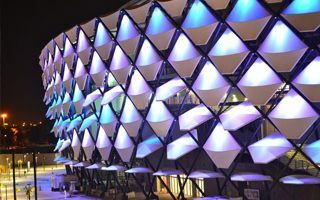 From the outside the stadium was surrounded with new cladding and staircases, while the entire stadium was covered with white steel dome. 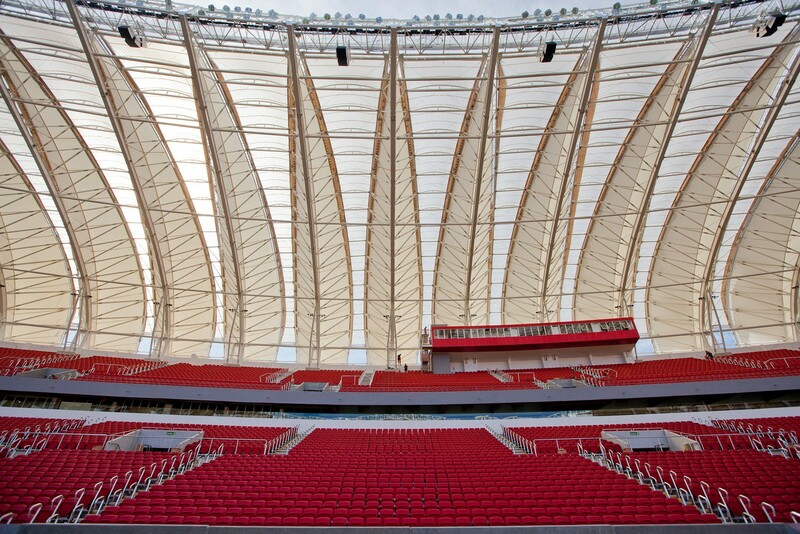 The dome consists of 65 leaf-shaped segments, covered with fiberglass membrane. 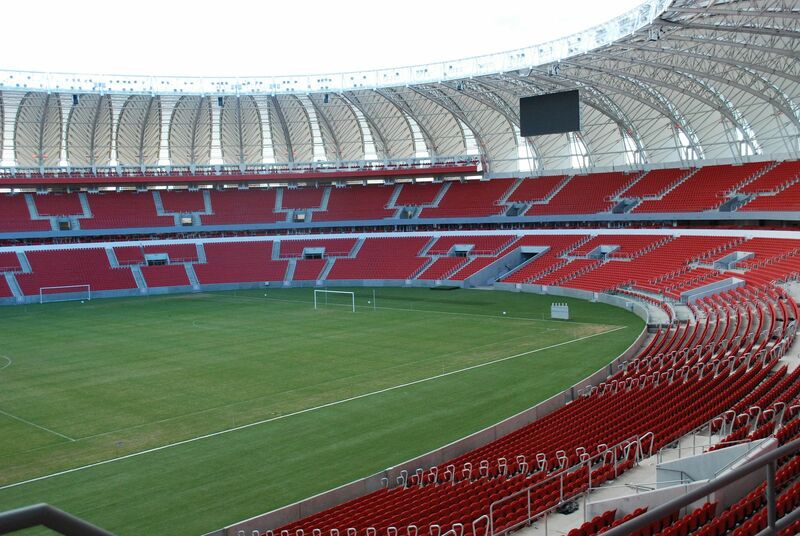 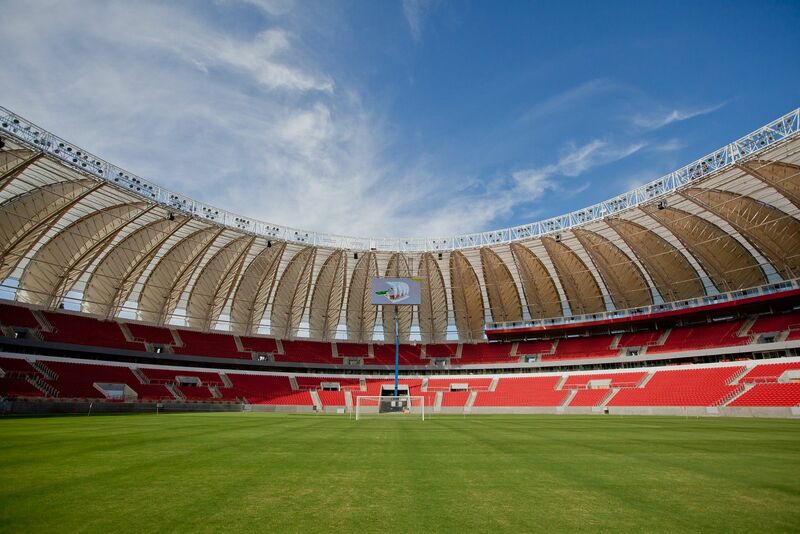 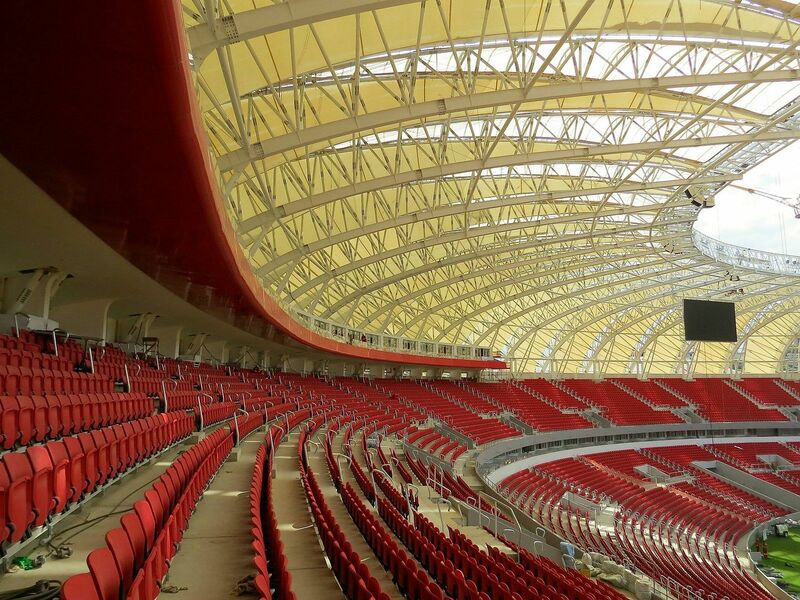 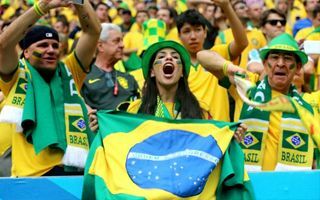 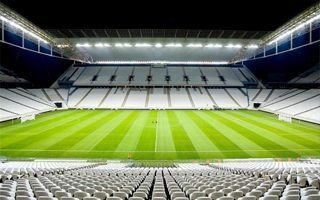 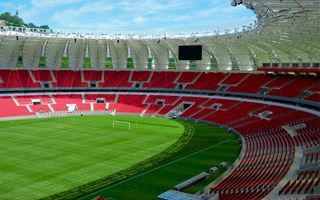 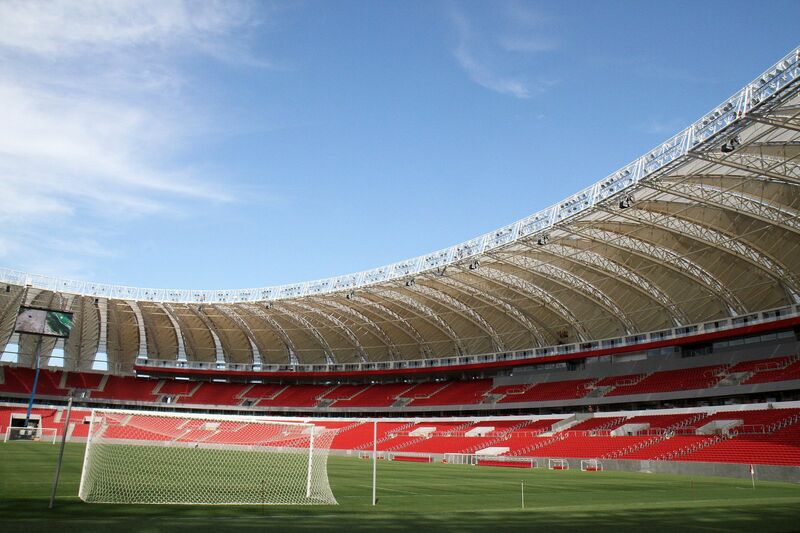 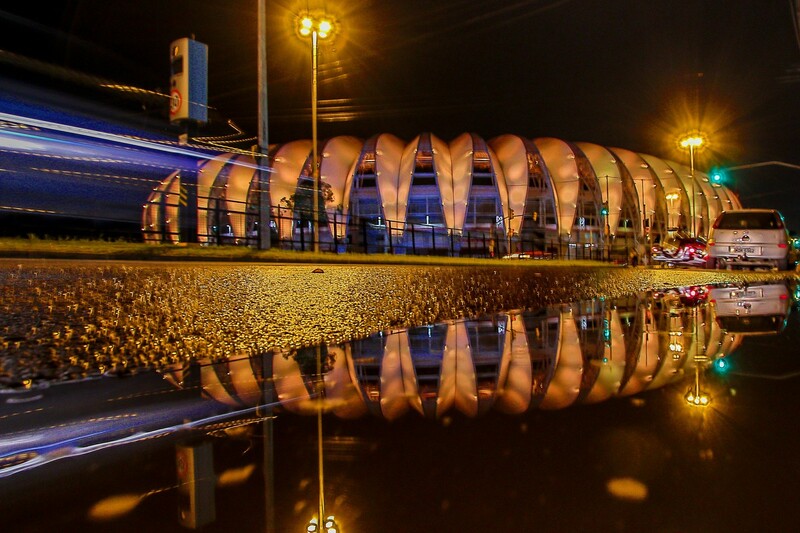 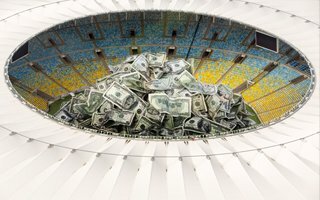 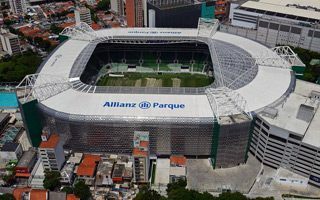 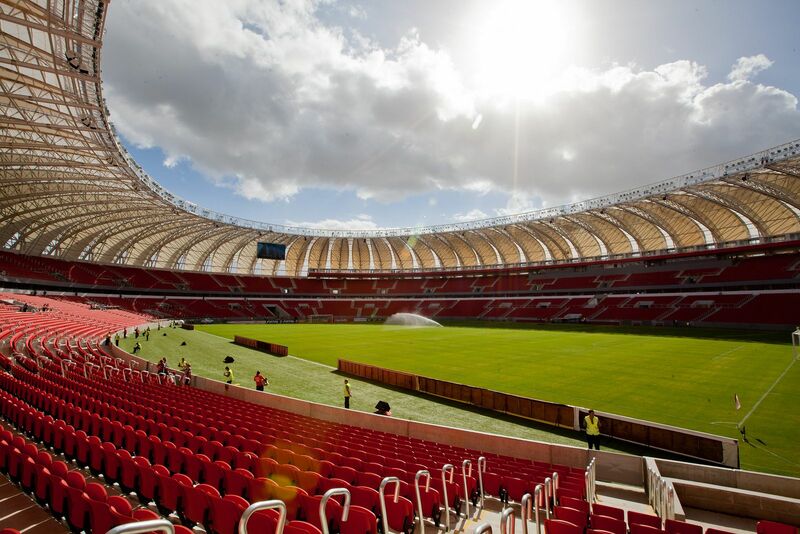 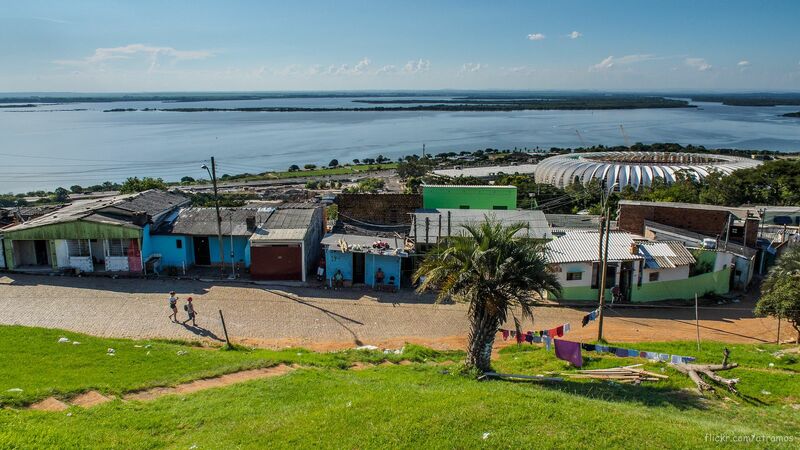 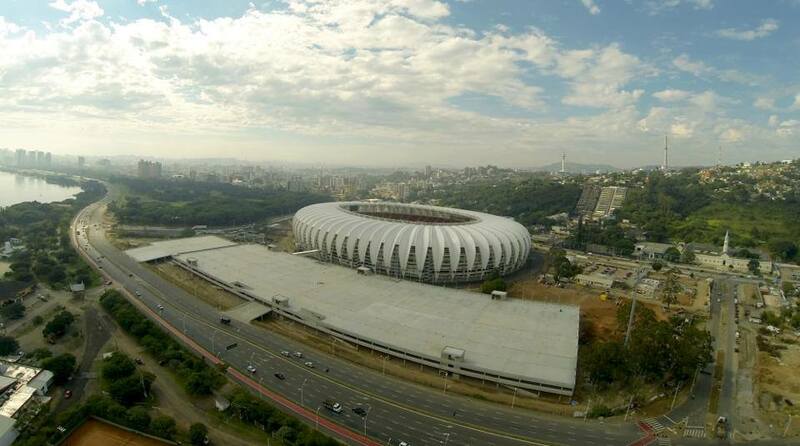 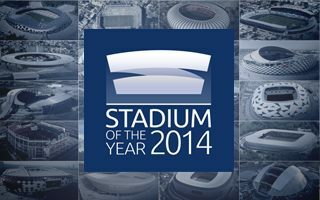 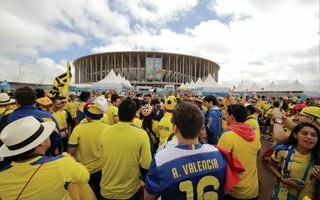 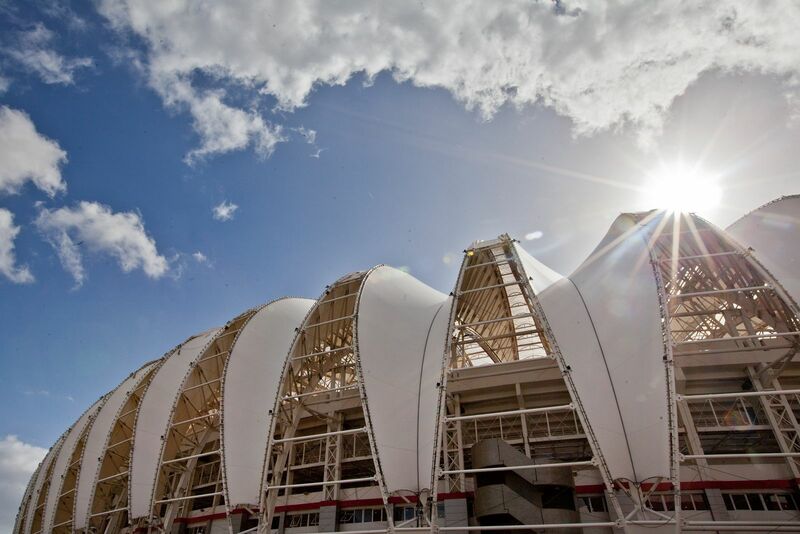 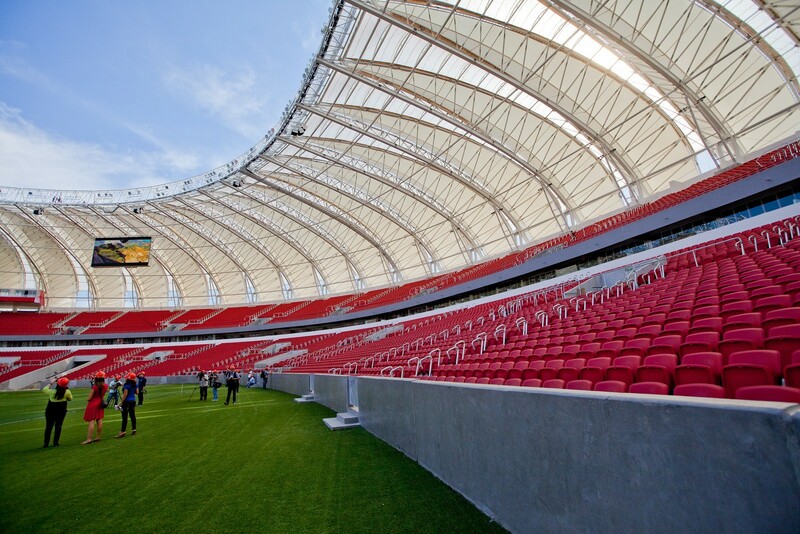 The project required R$330 million and ended in February 2014, just months ahead of the FIFA tournament. 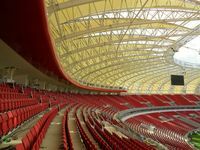 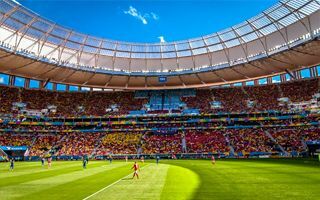 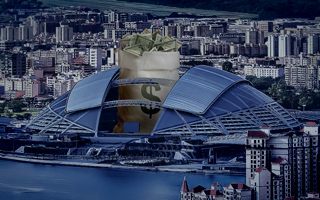 For the duration of the competition capacity was set at 51,800, but eventually it may be increased to just under 60,000 within the created infrastructure.